My wife and I have just completed the first year of our 5 year, 50 state road trip. During that time we’ve stayed in more than 60 cities, 47 different hotels, 18 Airbnb properties and with 5 sets of family and friends. Hotel loyalty schemes have helped make the trip affordable as 129 nights at 24 different hotels were booked using points in 2018. I try to maximize our points as much as possible which means booking category 1 and 2 properties, taking advantage of 4th/5th night free benefits, promotions that reward you even on award nights and more. We’ve therefore gotten outsized value from our points over the past year and I think we did better than the Reasonable Redemption Value on every award stay. I therefore thought it’d be interesting to look back at our best value hotel award redemptions during 2018. I also figured it’d be a good way to illustrate how you can maximize hotel award redemptions to make your points go further and why it’s worth having a good mix of points across several hotel loyalty schemes. The first two points need clarifying a little further. ‘Average nightly rate’ is based on the lowest rate available at the time of booking the award nights and includes tax. In most cases it was a non-refundable prepaid rate as that’s usually what we book for paid stays to save money. ‘Net cost in points per night’ is based on a number of factors. It includes 4th/5th night free benefits, welcome amenity points, points earned from quarterly promotions and more. These factors differed by stay, so in each case below I’ve explained how this worked. Without further ado, here are our 5 best value hotel award redemptions of 2018. Somewhat ironically, our best value redemption was one of our least impressive stays of the past year. The hotel wasn’t great, while Odessa itself wasn’t worth visiting, although I did go to my first drive-in movie. The main reason the overall value was so good is due to the ridiculously high nightly rate. Hotels in Odessa are expensive, apparently due to all the money from oil and energy companies. Award nights on the other hand are incredibly cheap. That’s presumably because no one wants to visit Odessa. Well, except us (to be fair, we were warned). I’d originally booked a five night stay at the Residence Inn Odessa due to Marriott’s 5th night free benefit. The Staybridge Suites subsequently appeared on IHG’s current PointBreaks list for 10,000 points per night, so I booked a stay there instead. My IHG Premier card offers the 4th night free on award stays, reducing the cost to 8,000 points per night. I also have the old IHG credit card which gives a 10% rebate on redemptions. Both the 4th night free and 10% rebate benefits stack, so that reduced it to 7,200 points per night. Finally, I have Spire Elite status and so received a 500 point welcome amenity, making the final cost 7,100 points per night. Based on the nightly rate, that gave a value of 4.65cpp which is more than 8x the RRV. This is why ‘Best Value’ is so subjective – there’s no way I’d have paid $330 per night. Peoria rivaled Odessa for dullest city we visited last year, so it’s perhaps fitting it took the number two spot. The Candlewood Suites Peoria was a perfectly nice hotel though that gave us an upgrade to a one bedroom suite. This was one of only two upgrades we received with IHG in 2018 – the other upgrade was also at a Candlewood Suites. Compared to the Staybridge Suites Odessa, the nightly rate was more reasonable. The points cost per night was lower too. Once again, that’s thanks to IHG’s PointBreaks list as it was available for just 5,000 points per night. We stayed there back in July, so before I could take advantage of the 4th night free benefit from the credit card. The 10% rebate from their old credit card reduced the cost to 4,500 points per night. I received another 500 point welcome amenity which, split across our six nights, reduced the net cost per night to 4,417 points. Seeing as we had to redeem so few points, we received 3.09cpp of value from them, or almost 5.5x the RRV for IHG Rewards Club. I’m glad the Hampton Inn Enterprise made it on the list as we loved our stay there. We visited Enterprise in March as it’s home to the World’s Smallest St Patrick’s Day parade. One person walks/marches/dances a block from the courthouse to the city’s Boll Weevil Monument (yes, really!) and back again. The Hampton Inn Enterprise is one of the Hilton properties in the US that only costs 10,000 points per night. We stayed five nights and so got the 5th night free, reducing the cost to 8,000 points. Hilton’s Points Unlimited promotion at the time offered 2,000 points per stay, even on award stays. Spread across our five nights, that reduced the cost to 7,600 points per night. Finally, my 250 point MyWay welcome amenity lowered the net cost per night to 7,550 points. Before setting off on our road trip I never thought I’d say this: I loved Alabama. We stayed in six different cities over the course of a month and all of them had interesting stuff to offer, including lots of great hiking. Our final city in Alabama was Huntsville where we stayed at the Residence Inn. When booking our stay, it was a category 1 property which only cost 7,500 points per night at the time. We stayed for five nights which meant the 5th night was free, so our net cost per night was 6,000 points. With a nightly rate of $138.85, we got 2.31cpp of value, or 3.21x the RRV. Following Marriott’s devaluation, this property is now a category 2 property and so costs 12,500 points per night. That means you’re unlikely to get as good value as we did, but you’d still likely do better than the 0.72cpp Marriott Rewards RRV. As surprised as I was that I loved Alabama, I was equally surprised by how much I loved Tulsa. My prior knowledge of Tulsa amounted to Chandler not wanting to work there in Friends seeing as he’d Sooner be in any other state. Tulsa is fantastic – seriously! The recently opened Gathering Place (a beautiful public park), Welltown Brewing, Hurts Donuts, Andolini’s Pizzeria, Pinkitzel Cupcakes, Mr Nice Guys food truck, Antoinette Baking Co. and more – the place is awesome. In completely unrelated news, it’s possible that an inordinate amount of our $100 daily budget went on food and drink in Tulsa. One reason we had a little leeway in our budget is because we booked the Hyatt Regency on points. It’s a category 1 property in the World of Hyatt scheme and so costs 5,000 points per night. That’s great value as it is, but it got much better for three reasons. Hyatt offered its credit cardholders a 10% point rebate on award stays, so that was 500 points back per night. This was our first stay during their Q4 2018 promotion which offered bonus points on both paid and award stays. Our five nights triggered the first bonus of 2,500 points, so that was an additional 500 points back per night. Finally, we earned another 2,500 points by declining housekeeping. We were only supposed to earn 1,000 points, but the hotel never awarded it. Emailing Hyatt didn’t help either until I earned Globalist status and got a concierge. I emailed her and voilà – 2,500 points appeared in my account rather than 1,000. By getting back a total of 7,500 points for a five night stay, we had a net cost of just 3,500 points per night. Based on the nightly rate of $172.72, we got 4.93cpp of value from our Hyatt Regency Tulsa stay, or 2.84x the World of Hyatt RRV. When calculating these values, it was interesting to see that four different loyalty schemes were represented. We have a healthy balance of points for all the main hotel chains as it helps ensure we can take advantage of award sweet spots like these, rather than earning and burning which could leave us with less flexibility. 4th/5th night free benefits in particular can be a great way to maximize point redemptions, although that’s not always an option (e.g. if you prefer several weekends away rather than one or two longer vacations each year). Finally, remember that ‘Best Value’ can’t always be measured in terms of points and money. My favorite stay during 2018 wasn’t even a hotel – it was an off-grid cabin in Terlingua, Texas we booked through Airbnb. There was no suite upgrade, no club lounge and no buffet breakfast (although the host did provide some of their chickens’ eggs). 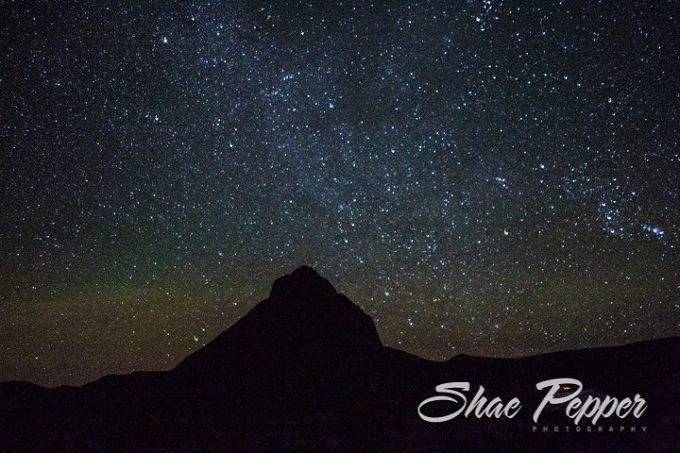 More importantly though, there was no light pollution as it was so close to both Big Bend National Park and Big Bend Ranch State Park. Both those parks are International Dark Sky Parks, so the night sky was something to behold and it was our first time seeing the Milky Way. We paid $62 per night, paid for using discounted Airbnb gift cards (thanks Amazon/Amex!) and booked via Acorns to earn Found Money. Despite the stay not being free like the five hotels listed above, it provided innumerably more value, just in a non-monetary way. Being able to look up and see the Milky Way with the naked eye was simply magical. What’s been your best value redemption, either in terms of cents per point or how it enriched your life? Let us know in the comments below. Stayed at the Ritz-Carlton in Tokyo during cherry blossom season this past March by redeeming 180,000 SPG points (540K Marriott points), which included getting 120,000 AK Airline miles back. Rates at the Ritz-Carlton that week were running $1400/night. Great hotel, wonderful trip. Nice – we’d love to see the cherry blossoms. Why not leave the Country? We’re still traveling internationally – we did New Zealand & Australia last year and are visiting the UK, Netherlands & Bali in 2019. We have a small dog though, so we decided to do this 50 state road trip so she could join us rather than be in quarantine if we were to travel internationally full-time. Easy and smart move my UK buddies son took 2 dogs to AUS from UK. $7k total to get it Done ..Pocket change to him HaHa not me..
We will be in AMS June 9-14th. See you there. Mind sharing how many total points you burned through for your entire 129 nights? I’m having a hard time knowing where to set the bar for target accrual point level. Thanks! We burned through 1,065,000 points over the course of the year across all the main hotel chains. I’d say about a quarter of those were with Hyatt as we stayed at a ton of category 1 properties, so most of those points were transferred from Ultimate Rewards. Having said that, we maxed out their most recent promo and so earned back 60k bonus points with that. Traveling to Asia in 2019. October 1 is National Day in China. When we made our reservations we didn’t know that hotel and flights quadruple and even more until I booked our flight from Hanoi to Guangzhuo. The flight, normally about $150 one way, came up close to $700. After my panic subsided I thought to look for an award flight. United had it for 10,000 miles. The only better deal I expect to get is at the Ritz Carlton in Beijing which you can get for free using the new cat. 5 Marriott free night award. With my platinum elite upgrade I could easily get my three $600 -$1000 nights for $95 EA. Happy New Yesr. That sounds like a great use of your free night award. We might use ours in Amsterdam, but I doubt we’ll get as much value out of them as you will! Boca Beach Club on Saturday night of Valentine’s Day weekend. Cheapest rate was $1600 per night. I used a Hilton credit card free night certificate. That certainly covered my annual fee! Not the best value ever, but still pretty good. Enterprise is an interesting city to visit. The city pays homage to the bowl weevil. The primary road (named bowl weevil circle) encircles the town. There’s a few nice museums there, and taking a picture with their bowl weevil statue is a must! I think we’d have considered that for our stay in Enterprise, but I don’t think they’re pet-friendly so we stayed at the Hampton Inn instead. Enterprise was a surprisingly great city – we also made several friends while we were there who we’re still in touch with. U folks will laugh at this one they have the Winter Festival in Lake Geneva Wis. for 9 nites . Best nites to stay is Friday and Sat. ends 2/3 .I got a Lake View room 100 meters to water and 300 meters from city center $25 per nite. Thanks Hotels.com with my free nites. No laughing at all – that sounds like a great deal! We loved our 6 weeks in Wisconsin, although we didn’t make it to Lake Geneva even though it had been one of the places on our list to visit. Flew out of Madison on Sat. on a Charter..I’m 90 mins driving from there (MDW) I’m going to Do the West side of the lake and see ” The Abby ” was $$$$ years ago when I stayed there . Then my hotel been 15 years but that hotel is like $400 per Sat. nite in June….Keep us posted Gas is $2 now I may buy a MH for travels . have fun!! i’m in Lake Geneva most everyday!!
. I have used a small number of points for.hotels costing $600 a night, but the hotel was only mediocre and would only value it as a $150 room. We’re on a fairly tight budget and so only spend in the $50-100 per night range when booking paid stays, so they wouldn’t have given a very goes comparison. For example, we wouldn’t have paid the full cash rate for the Hyatt Regency Tulsa. However, we did value our stay there very highly as it was in a great location, we had lounge access and the service was great. I therefore value that at more than $100 even though we wouldn’t have paid that much if that makes sense. It’s all about Value to YOU which may not work for others . I have a super LT so I don’t care about their Flat screens ect . But need 4g but don’t care about that anymore BUT cheaper then my SkyRoam ..A 5* shower and Hotel Staff in ” The Know ” can be priceless and u can’t put a number on that @ times.. Appreciate the story, helpful for planning. Suggestion, presenting parallel calculations between the best deal you crafted as well as what the deal would have been for those of us who do not have all of the tools, such as legacy credit cards (e.g., IHG) to stack, or any similar less common scenarios. Sorry for the delayed reply. That’s a tricky one as each person has different tools at their disposal. With regards to the old IHG card, having that card certainly increased the value due to the rebated points, but I think the standings would’ve been the same even without it. Tell me more about your 5 yr 50 state road trip. Do you have the criteria for your adventure written somewhere? How many days are you planning to stay in each state? Are you only staying on points, points and cash or any combination? What is your overall budget per year for this in dollars and points? Would love to hear more about your decision to do this! We’re trying to visit 10 states a year, so an average of 5 weeks per state. For smaller states like Connecticut, Delaware, etc., we’ll only spend ~3 weeks there, whereas we recently spent 10 weeks in Texas due to its size and will likely spend that long in California and Colorado (the latter because we have an enormous list of things to do there). We tend to move every 5-7 days or so which means we stay in about 7 cities on average in each state. We try to spread those cities out over the state so that we’re never much more than a 2 hour drive if there’s something that’s worth visiting. We tend to either stay using points or paying for accommodation outright, either at hotels or Airbnbs. I think we only had one Points + Cash stay in the last year and that was a Hyatt Place when there was a glitch where they charged less for the cash portion. Our daily budget is $100 per day and that has to cover everything – accommodation, food, gas, activities, phone bill, auto insurance, etc. It’s not easy, so our average spend in 2018 ended up being closer to $109 per day. Much of that was from May when we went almost $2,000 over budget for the month, although a large portion of that was because my wife had to get her wisdom teeth taken out. Our average accommodation cost last year was $1,181.51 + 90,417 hotel points per month. We’re replenishing our hotel points at a similar rate each month, so our overall hotel points balances have been fairly steady over the past year. Some of those points came from credit card signups, others times it’s been from hotel promotions (e.g. we maxed out both the IHG and Hyatt Q4 2018 promos), some points have come through Amex credit card referrals, etc. I own a few dozen websites that each earn a small-to-medium income, plus I write part-time here on Frequent Miler which is how we can afford to do this – we aren’t having to dip into savings to do this thankfully. Awesome! Thanks Steve for all the details. I will definitely check out your blog site. Sounds like a cool adventure! Enjoy! Yuck I hope I never visit any of these places. There is a reason they call it flyover country! You’re missing out then – some of our favorite places we’ve visited this past year have been small towns and cities people wouldn’t normally visit. Nice people just got back from Madison Wis. If something went wrong I’m sure they would try to help . Try that in Chicago or any major city . I tend to agree that the best hotel redemptions in the USA tend to be in the lower categories. I’m a fan of the mid-level extended stay hotels like Staybridge and Homewood. You get particularly value on the weekdays when they give you a free dinner with wine and beer (less valuable on a quick trip where you want to eat local food, but very valuable on an extended road trip). Choice Privileges is also a very underrated program for folks exploring America. Sadly, I have to buy most of my points (cheaply) on the annual Daily Getaways promo instead of through credit card sign-up bonuses and such. But they have a surprising number of good properties to redeem at — often at giveaway prices. Their partnership with Bluegreen (timeshare resort properties) are sometimes astonishingly good deal. I’ve gotten multi-bedroom resort cabins and such for as low as $40 (retail price over $300). I also enjoy the 10,000 point Honors redemptions, but they’re scarce: last year, I think I was able to do one in a small Mississippi town. Yep, I wish we had more Choice points as we’ve gotten some great value from properties that only cost 8k points. We love Staybridge Suites, Residence Inn, etc. too – I’m a sucker for free food and booze! Yeah, Choice has what I call the most screwball redemption levels: some are way too high, and some are way too low. They even vary by day of the week (not always logically). I’ve paid as little as 6000 points for good USA properties this year (thank God there are hotel review sites, because the quality of their properties is so variable). I actually like the fact that their redemptions seem almost random: I just book the cheap ones and avoid the expensive ones (picking a different Choice property or an entirely different chain). If they were all “fairly priced,” I’d need fewer points!